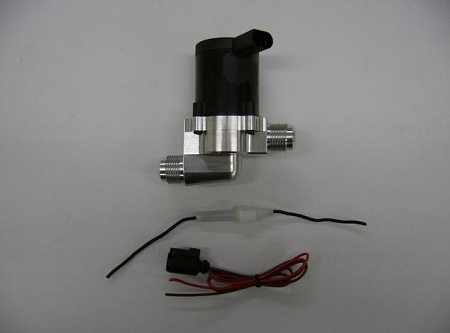 This electric water pump only draws 1 amp of current, flows 5 gallons per minute, and with its billet housing with -10 AN inlet and outlets can be installed in your cooling system almost anywhere. The motor on this pump has a 15,000 hour rating. Great for rear mount radiators.